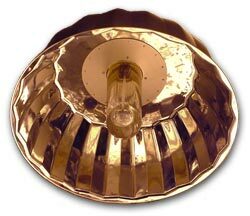 The EGC engineering staff can custom design chambers tailored to fit the researcher’s unique lighting requirements. We can incorporate your preferred illumination into a chamber design that provides the desired performance. Talk with an EGC representative about your specific needs. In addition to our custom lighting solutions we also offer two unique designs for those requiring increased lighting levels. 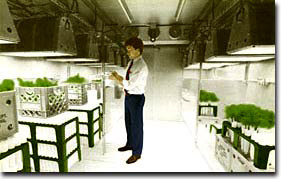 Combining two 400 watt bulbs, one high-pressure sodium and one metal-halide, they produce an optimal plant growth spectral mix. 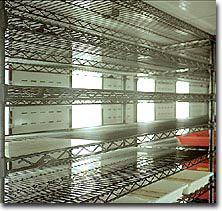 Research applications include bench lighting, caps for “M” series growth chambers, or as growth lights in environmental rooms. Developed out of our long term collaboration with NASA, the Wet-Lyte system is a unique solution to providing high efficiency lighting for plant growth enhancement. The 1000 watt HID design produces the maximum lighting levels attainable from commercially available lamps, with power efficiencies up to twice that of other light sources. The water jacketed reflector assembly is designed to produce optimum illumination at low working heights, while acting as an efficient heat exchanger for removing generated heat.